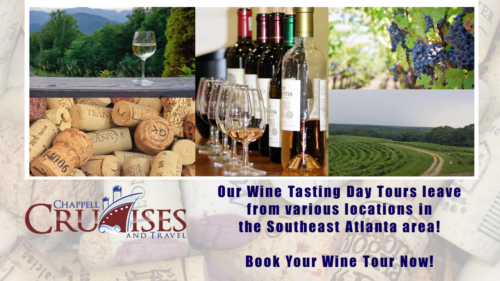 Explore North Georgia’s Wine Country with our wine tasting tours. Say cheers to a stress free day being chauffeured! Relax and enjoy a “See, Smell, Taste and Learn” Experience! – ONLY 11 seats available!!! – WE CHECK FOR PROOF OF AGE…So Don’t Forget To Bring Your Photo ID! – Reserved Lunch is not included with the tour. Reserved Lunch is NOT included with the tour.